After finishing up our winter term at the school, Yvonne and I traveled to Amsterdam for a few days, before heading to Israel, where I taught a six day class on the subtitles of making and fitting a drawer on the curve. The Tree of Knowledge School was founded by IPSFC alumni Oren Feigenbaum and Nathan Vanthof. The school is nestled in a beautiful area between the sea of Galilee and the Mediterranean Sea, and has fostered a wonderful community of woodworkers. This was my second visit to the school, in as many years. The class consisted of fifteen students with three of the schools teachers also participating in the class. While Oren and Nathan continue as the primary teachers at the school, they have enlisted the assistance of Amir Aharon, a graduate from the Tree of Knowledge’s first long program and Chen Lekach, a graduate of the College of the Redwoods. The school has created a creative and supportive environment with a strong reverence for the teachings of James Krenov. Following the program, Yvonne and I joined Oren and Nathan and their lovely families for a wonderful meal in the ancient seaside port of Akko, which for me is a very special place. 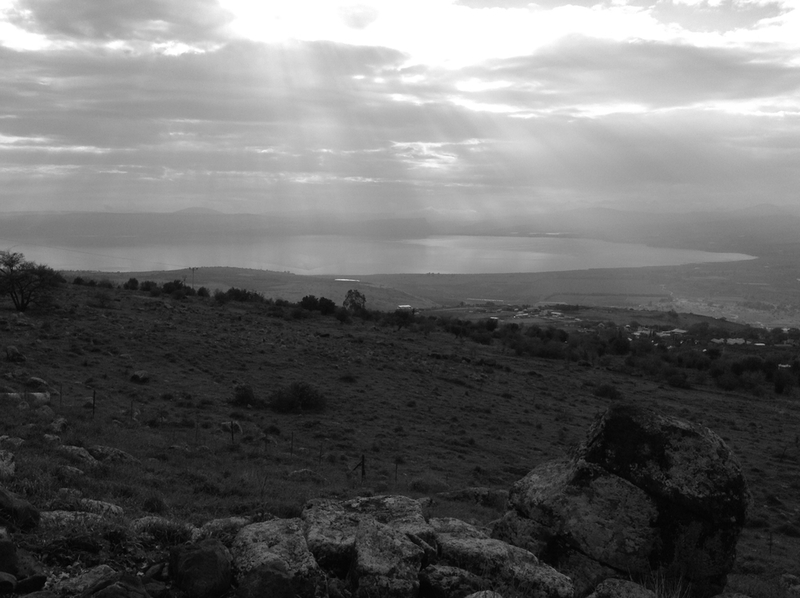 The next morning we all traveled to Golan Heights where from atop of Mount Hermon, we could see the green orchards of Syria to the east. We traveled further south and stayed in a yurt overlooking the Sea of Galilee, and enjoyed a traditional meal over a fire. The next morning we traveled south to the Dead Sea stoping by a desert monastery where the restoration of several buildings and mosaics where underway. Swimming in the Dead Sea and enjoying the natural hot springs adjacent to it will be something that Yvonne and I will not soon forget. We then traveled to the south of the Dead Sea where we spent the night in one of the most unique places we have ever experienced. The vibe there was very Sababa. Sababa is a hebrew word meaning relax or chill. We found that the people of Israel, are a very soulful group of people. The next morning we began our journey home stopping by David’s Falls and back to the Kibbutz where we were staying for one more night. The next day I spent at the school before boarding the train from Nahariya to Tel Aviv. After nearly twenty four hours later, we arrived home in Roberts Creek and after a few days of rest, began preparing the school for the spring session which begins on Monday. The beauty of this small country on the Mediterranean is only surpassed by the beauty of their people. We very much look forward to our next visit.